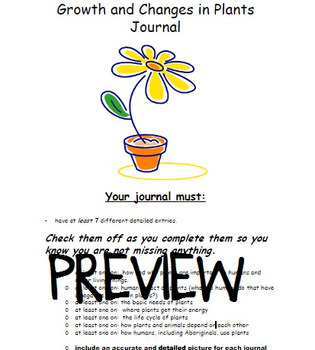 This journal can be used for, as and of learning. It is correlated with expectations for the grade 3 Science Curriculum in Ontario. 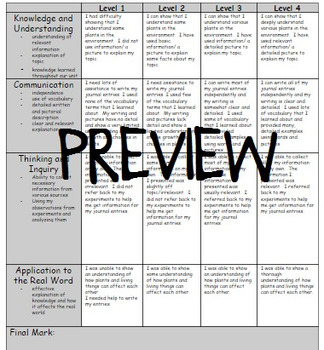 Full assessment rubric included for self, peer and teacher assessment. Simply print one copy for each student and you have a useful, meaningful and differentiated assessment task for your unit!